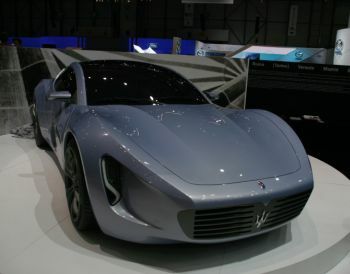 The Instituto Europeo di Design (IED) of Turin were present at the Geneva Motor Show with the Maserati Chicane concept, representing the design school’s fifth consecutive year at the prestigious Motor Show. The Chicane was developed by a group of students from the Master RSP course in Transportation Design, and presents a sporty 2+2 derivative of the classic Maserati coupe theme. Powered by a hypothetical V8 engine with rear-wheel drive, the Chicane presents an entry-level Coupe which could potentially fit underneath the more luxurious GranTurismo 2+2. The Chicane draws inspiration from the sportier models in Maserati’s history with a highly aggressive value, far reaching from the more understated and elegant design direction of the brand’s recent production models. Whilst reflecting the marque’s historical values, the Chicane also explores possible stylistic features to determine Maserati models of the future, whilst at the same time presenting a new compact car in the Maserati range (4,400mm long, 1,850mm wide, 1,250mm height, 2,600mm wheelbase). At the front the Chicane is dominated by a large grille, chiselled at the edges with a horizontal louvre pattern flanking the traditional Maserati trident. Large LED headlights are fitted vertically in front of the generous wheel housings, presenting a sweeping nose. The side is typified by the curious placement of the traditional porthole vents in the door flanks, which are clustered in a slight angle under a prominent crease reaching upwards towards the rear haunches. Presented as a full-scale prototype, the Chicane was developed by 17 students and guided by coordinators Luca Borgogno (Designer Pininfarina), David Wilkie (Director Design Bertone Style) and with the support of Andrea Militello (Chief Designer IED Automotive). The selection process included eight quarter-scale (1:4) models whereby the design students worked in groups of two or three. The selection of these models was supervised by Lorenzo Ramaciotti (Vice President Style Fiat Group Automobiles), Alexander Damrosio (Chief Designer Maserati), César Mendoza (Director of the IED Torino) and Giuliano Molineri (Frimark President) as well as the supervisors of the Master RSP course. 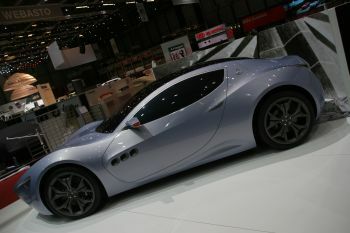 Maserati Chicane was the selected proposal set forth by the designers Dmytro Zyubyairov (Ukraine) and Oscar Palladino (Italy). Runner up to the selected project was the ‘Maserati Sfida’, developed by Roberta Baggio Worm (Brazil), David Rodrigues (Portugal) and Irma Elena Ramirez (Venezuela). The following students worked on the Maserati project: Vadim Artemiev (Russia), Roberta Baggio Worm (Brasile), Gaurav Bhatia (India), Alex Chatham (USA), Aashish Chaudhary (India), Gerard Fernandez Currel (Spain), Ron Desnoyers (Canada), Gregorio Di Pinto (Italia), Mikael Ifianto (Indonesia), Carlos Luzon Garcia (Spain), Irma Elena Naya Ramirez (Venezuela), Emrah Onemli (Turkey), Oscar Palladino (Italy), Raffaele Ponsiani (Italy), David Rodrigues (Portugal), Antonio Tamburrino (Italy) and Dmytro Zyubyairov (Ukraine). Collaborators to the project included Laurent Raphael (France) and Mihaï Panaîtescu (Romania), both third year students from the post-graduate Transportation Design course (2007-2008).The M aserati Chicane prototype was realised by Cecomp. Also present on the IED stand were numerous projects from the third year post-graduate Transportation Design Course (2006-2007) committed to the Japanese brand Toyota. Projects included: “Forma” by Mark Cerrato, Enrico Remolif and Danilo Tosetti, “Waterfall” by Dennis Braga and Andrea Mocellin and “H.A.L.O. Hybrid Advance Line Over” by Michele Deconcini and Fabrizio Salerno. Drawing inspiration from the Toyota Prius, the hydrid sedan which combines electric and petrol power, the projects characterise a new concept car for Toyota, displaying designs which could be implemented in production in the near future. The class was organized to work in ten groups, with each student left to develop their own concept prior to the realisation of 10 quarter-scale models.